Despite recent discoveries like ELF and Crown, I found myself nodding along to a comment made at a Shu Uemura customer event, where their Global Creative Director warned about cheap tools producing cheap results - and went on to plug their very, very expensive brushes. I'd pretty much resolved that my next purchase from this brand was going to be the natural 18 goat brush for foundation, which is apparently amazing but is also a very hefty (and slightly peculiar) price, at €50.83. Well, thank the baby Jebus that you lot brought me to my senses! 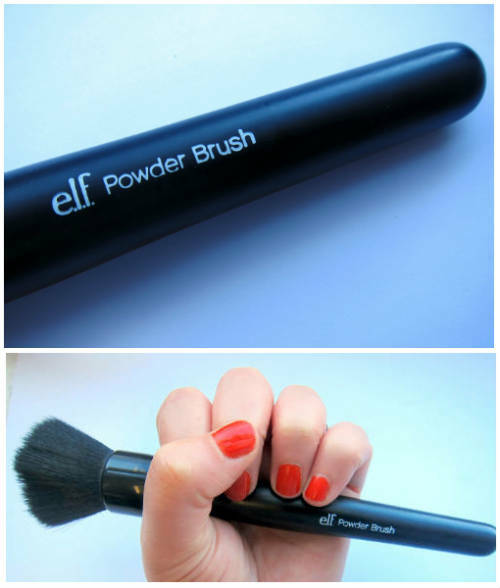 Thanks to the comments on a recent ELF post, I've made one of the best beauty discoveries of my life: the ELF Cosmetics Studio Powder Brush. The flat-top Studio face brush. Best foundation brush I’ve ever used, hands down. I hardly ever use my MACs anymore. The Flat top Studio Powder brush is to die for!! I have 2. It is just so versatile. Great for foundation (liquid AND powder); and blending contouring/highlighting or blush. I have bunch of other brushes but this is THE brush from ELF. ...the big winner for sure is the flat top studio brush. Best thing ever. Ever. Ams said she tossed all her other foundation brushes; Anne Marie has one for herself and three for her MUA kit; while Allicat owns about six of them! It looks great! A nice sturdy brush with a matte, black handle and black metal ferule, this also fits really nicely in my hand. It's vegan friendly and cruelty free: the bristles are synthetic Taklon, which also means it's ideal for liquids, creams and powders. It's really large and covers my whole face in seconds, and the soft, well packed bristles do a fantastic blending job. 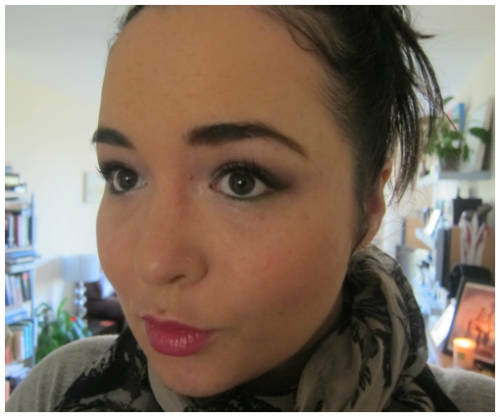 It gives me the coverage levels that my skin currently requires - medium to full, but not caked. There has been zero shedding and I've already given it a proper wash with some baby shampoo - nada! It's so, so soft – I’m stroking it right now, in a Dr Evil kinda way. Since I’m not allowed a kitten, this brush fulfills two functions in my life. And finally, I don't normally go in for multiple exclamation marks, but this warrants it: it costs just €4!!! So thank you, beauties, for saving me the bones of fifty smackers! Which I will now promptly spend on lipstick, obvs. Are there any other fans out there, or do you have any other brilliant budget secrets you can share?